The dispersion model LASAT (Lagrangian Simulation of Aerosol-Transport) computes the transport of trace substances in the atmosphere. It simulates the dispersion and the transport of a representative sample of tracer particles utilizing a random walk process (Lagrangian simulation). 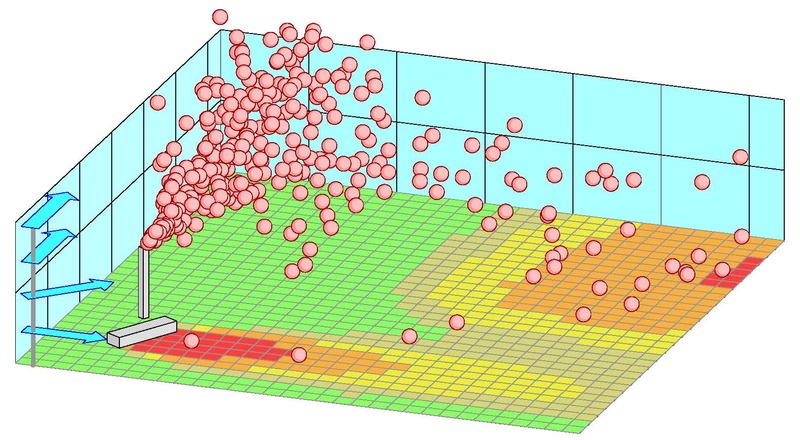 LASAT is a professional tool for the study of special dispersion situations. It is based on a research model which was developed in 1980 and tested in various research projects. Since 1990 LASAT is available as a software package and it is used by national authorities, consulting bureaus, and industrial companies in Germany. It served as the basis for the development of the dispersion model AUSTAL2000 which is the official reference model of the German Regulation ''TA Luft'' (Technical Instruction On Air Quality Control). LASAT conforms to guideline VDI 3945 Part 3 and provides a broad range of applications, among others: TA Luft, accidental releases, screening, radio nuclides, bioaerosols, odorants, moving sources. The current program version is LASAT 3.4. On request we deliver a demo version of LASAT on DVD. The demo version is identical with the full one but without activated licence. It can be used to recalculate the examples that come with the distribution and to modify them to a limited extent. For further information please contact us (see the Imprint).